Okay, so now if you are a cybersecurity student anywhere, you may be wondering: what the heck does he mean? 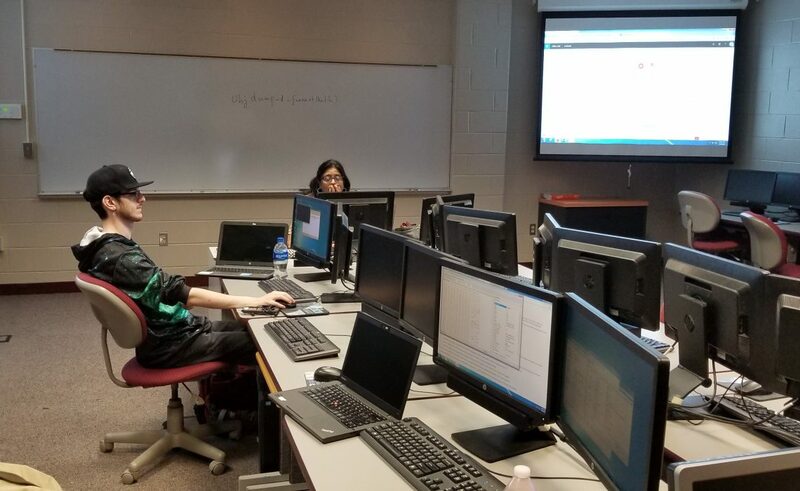 Cybersecurity, for us cyber students, is fun. It is our passion, so much so that we cringe when someone asks us if what we are doing is fun. 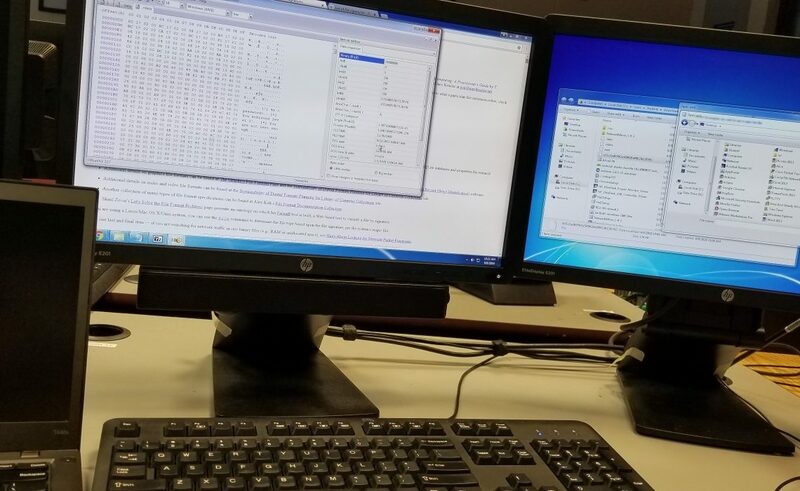 Technical details are almost always cut-and-dry and you’d be forgiven for being bored by the prospect of staring at the computer screen for hours analyzing a malware signature. But there are times when cybersecurity can visibly appear to be really fun (visibly being the keyword). To someone not in the field, anything else is boring. 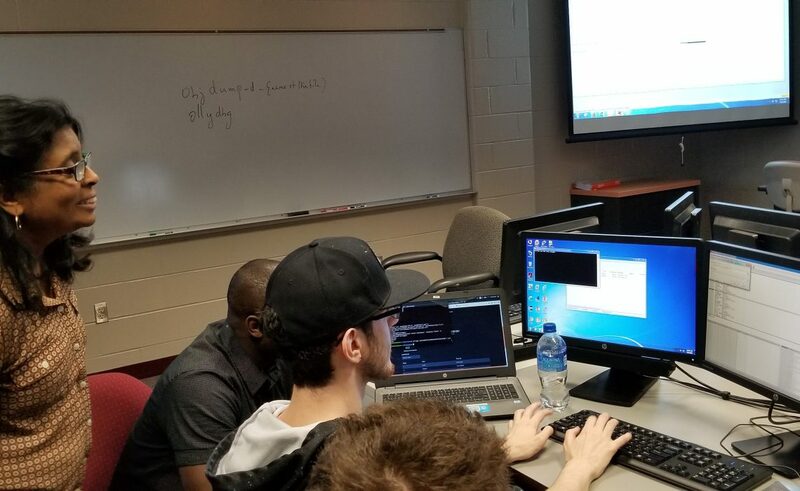 Cybersecurity is a lucrative field, it’s rewarding in its gains, and it’s interesting in its approach. Many years ago, my plan had been to major in any technical field. 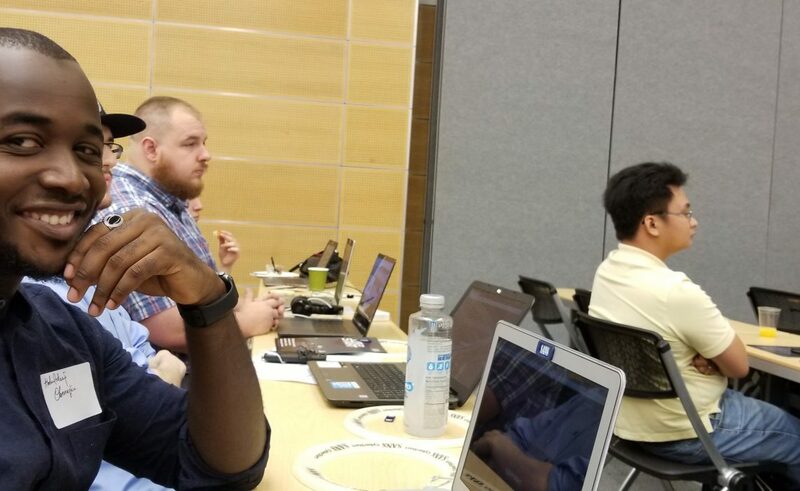 I zoned in on cybersecurity after many events transpired in my life and I wanted to utilize my skills to divert others from the online influence of extremists. 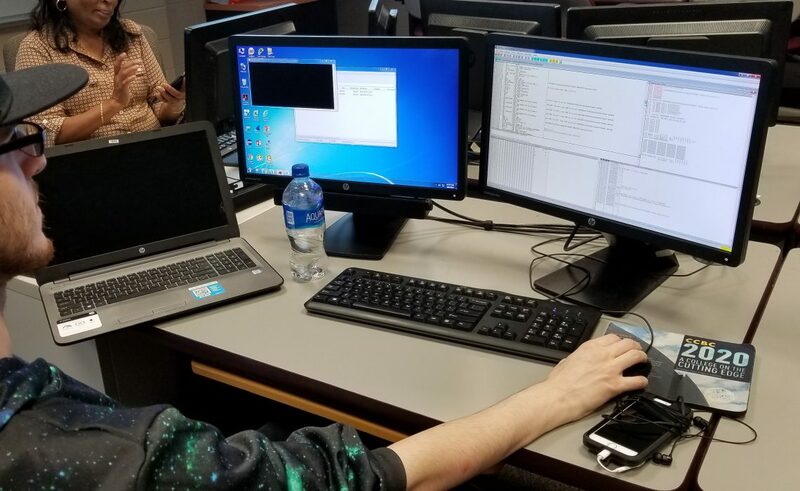 CCBC became my home and since then, I have been making strong gains in the cybersecurity program with a particular focus on counterterrorism. 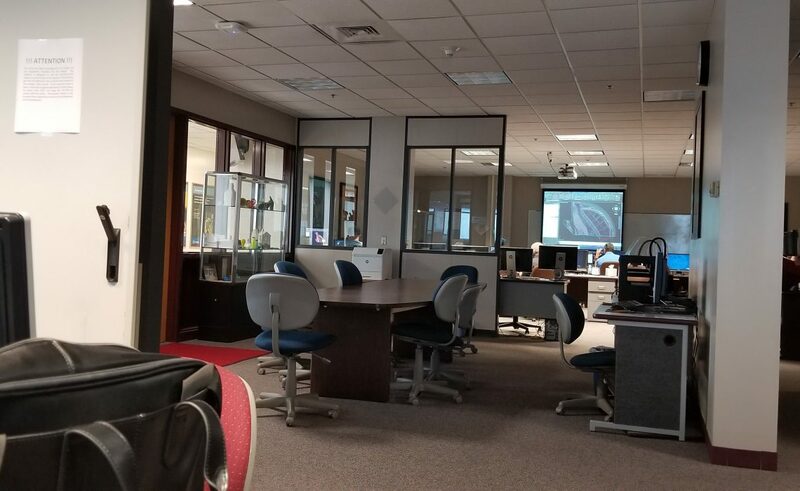 HTEC 101E, the cyber lab where I have THREE of my classes this semester. 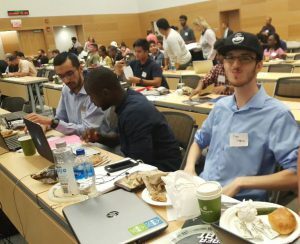 This Friday, I and my fellow students went to the Cyber Fast Track Maryland competition at the Montgomery College Germantown campus. 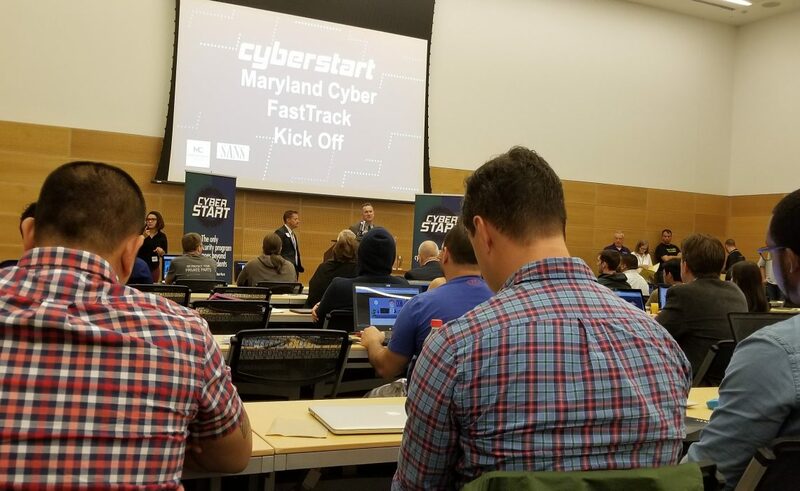 The aim of the Cyber Fast Track Program is to enable Maryland students to become the first in the nation to hone their skills using their talent for lucrative cybersecurity jobs. As we all know, our nation faces a shortage of skilled cybersecurity professionals at a critical time in our history. Threats are everywhere, internalized and externalized, and so many facets of our lives depend on the protection of our information, economy, infrastructure, etc. 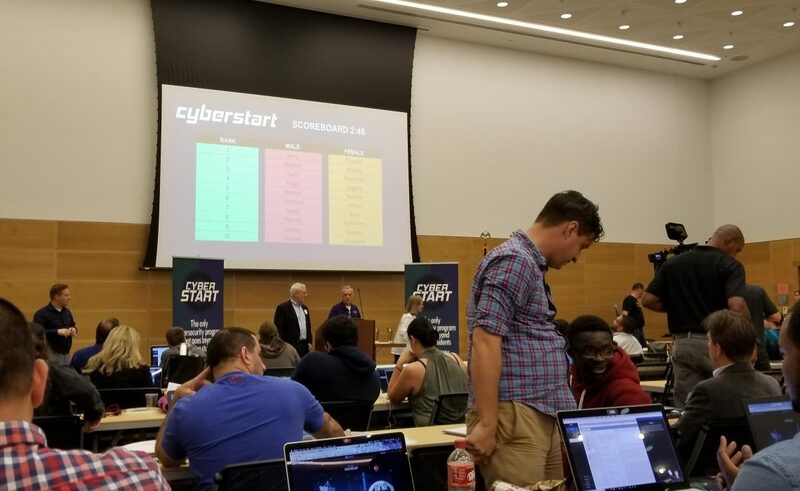 Courtesy of the efforts of the Cybersecurity Institute — which includes amazing faculty members such as Professor Vinitha “Vinnie” Nithianandam, outreach coordinator Ed Roberts, and chair Noel Damron — a handful of us went to the Friday’s competition. Some of us had participated in these competitions before while others, including me, were seeing an event of this scale for the first time. Surprisingly, I managed to score almost 13,000 points — a far cry from my initial worries that I would make it to a few hundred points. The beauty of the competition was that one could participate without any prior experience. The competition, in my opinion, was very well-designed. 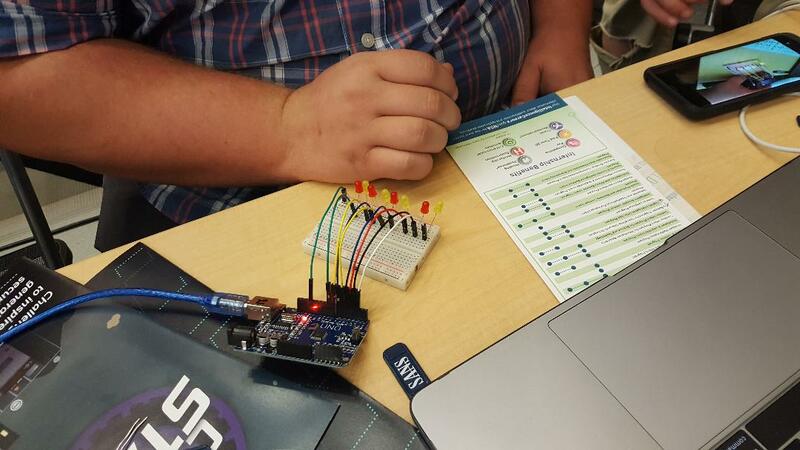 There was an individual competition that lasted several hours followed by a team challenge in which a group of three students worked with Arduino. 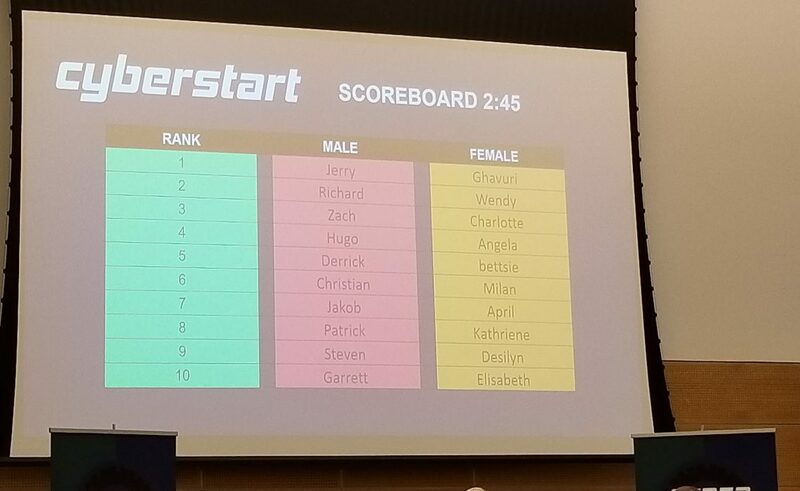 While we did not make it to the top three male and female finishers who won Amazon gift cards and awards from industry leaders such as Cisco, IBM, and Northrop Grumman among others, this was still a great competition. What matters is that we tried our best and two of us were even interviewed by the media both prior to and after the competition! 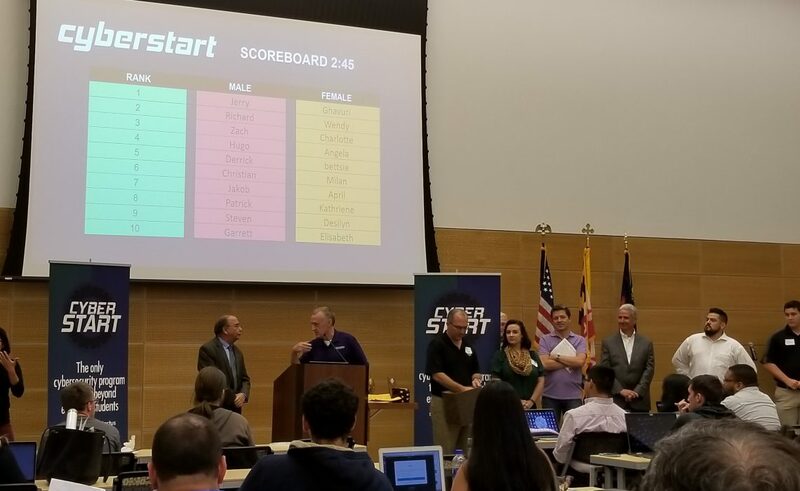 I mentioned how competitions such as this enable us to utilize our classroom learning into hands-on experience, which is something we definitely need in order to transition into the competitive job market. Practical and soft skills are way more valuable than just a rote learning experience. This competition provided us a way out of that boredom and challenged us first-timers. 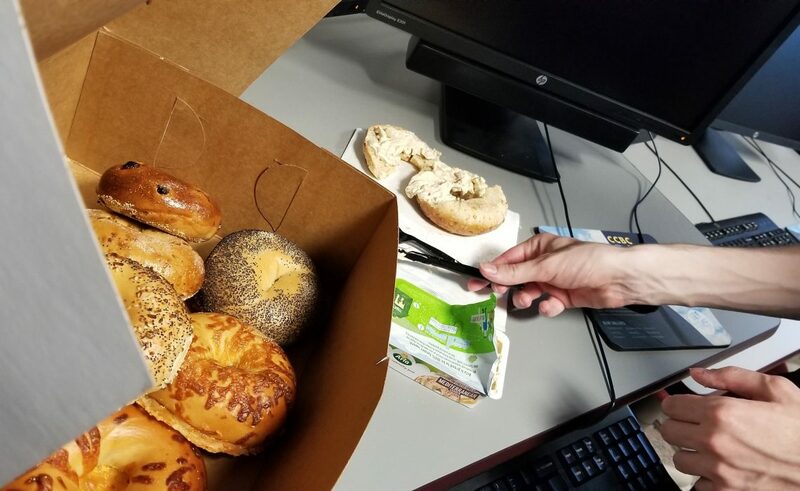 Oh, and we were fed breakfast and lunch! For some, that’s an incentive in itself to attend such events. 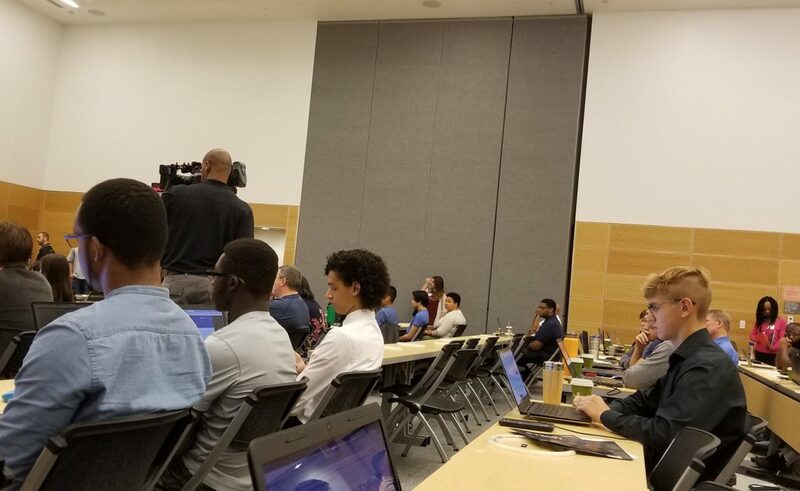 There were also government representatives from the National Security Agency (NSA) and the Federal Bureau of Investigation (FBI) who provided information on job and internship opportunities within their respective agencies. 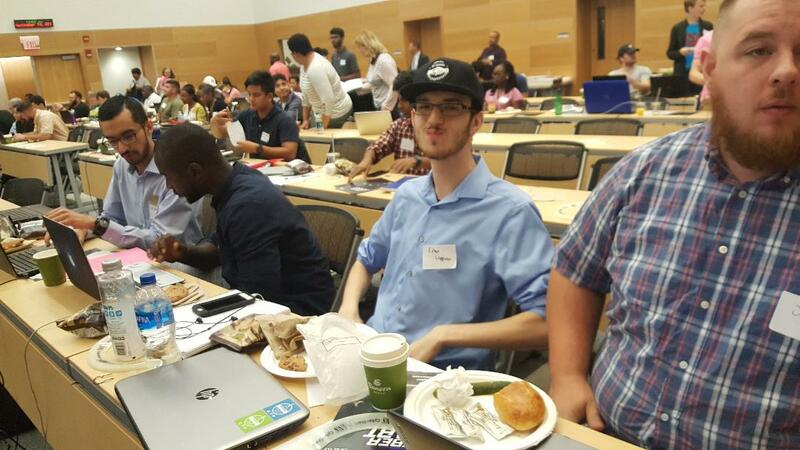 Private sector folks emphasized the alternative to cybersecurity careers in the government. And overall, the event was well-coordinated. I hope to attend more of these events and competitions in the future. 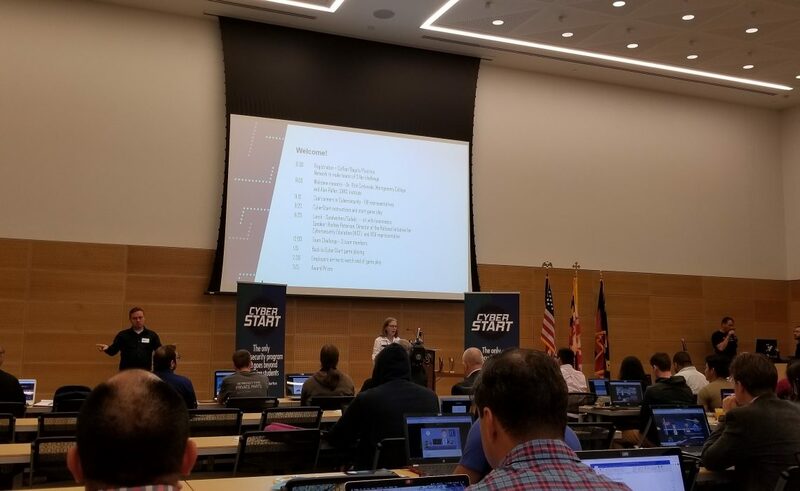 A Towson student and a CCBC graduate, Ethan (pictured above) told me that he lives and dies for these competitions as a cybersecurity student. Being there this past weekend, I now understand what he meant!